Lucy’s recent post offered caution to jumping on the Google+ bandwagon and highlighted what should be carefully considered before creating a Google+ business page. Considering whether to create a Google+ page or profile for your brand is pretty much the same as any other social network with the added factor that creating a Google+ page and getting active on the new social network could offer a welcome boost to your natural search visibility. 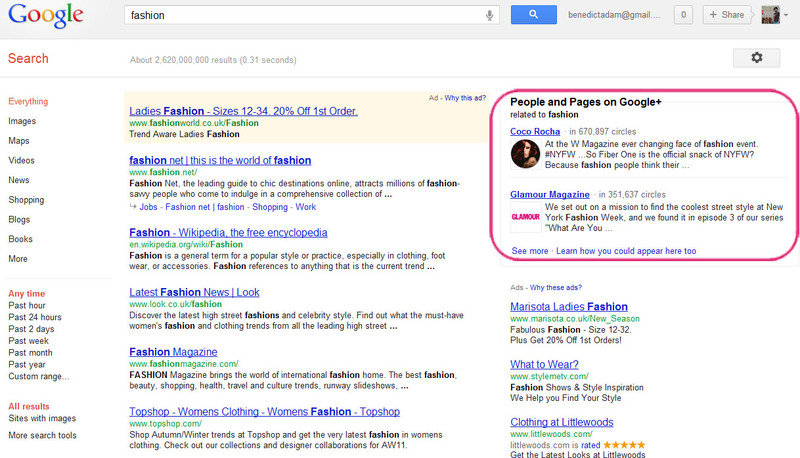 Below are a couple of examples of how Google+ content is already starting appearing in the SERPs. 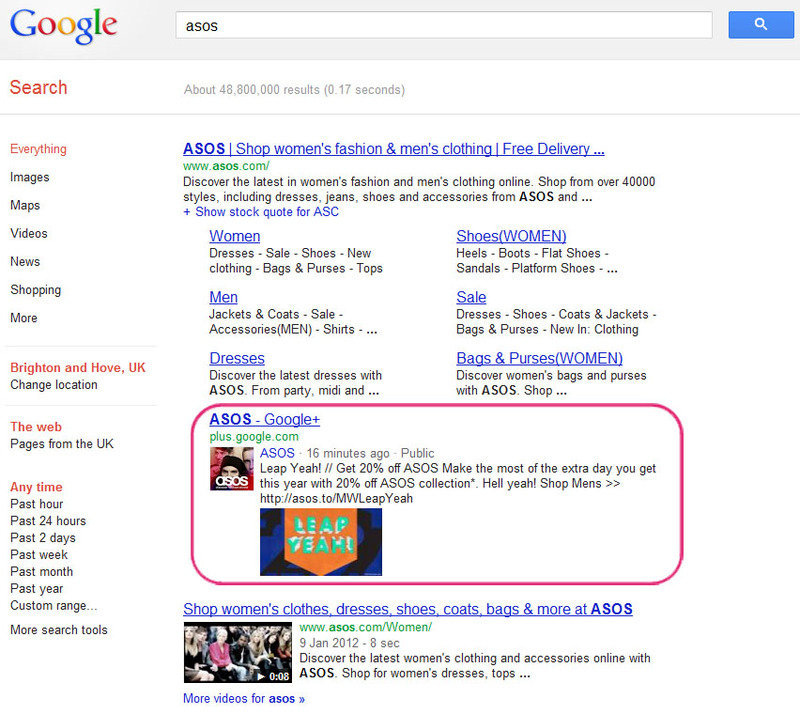 For some queries, Google is pulling in the latest Google+ post, leading to even more brand exposure and for this ASOS example, great promotion of their latest offer. Once you have a Google profile registered you can create a page using the Google the Create A Page tool to create your business page. If you are creating a Local Business or Place you have the option entering a phone number in a similar way to registering a new Google Place. (Please note that currently, Place pages and Google+ pages must be managed separately). Setting up a page will give admin rights to that Google account, other accounts can be added from the Settings Managers; the only difference between managers and owners being the ability to delete a page and transfer ownership of that page. Strangely, unlike Facebook, Google hasn’t bothered with search engine ‘friendly’ URLs for profile pages. Instead your URL uses a unique ID. However, as with Facebook you’ll need to access the page through a personal account and you’ll have the ability to choose whether you are acting as yourself or the business page. Once you’ve setup your page, below are the key areas to be focusing on to get the page as well optimised as possible. This forms the page title so is worth including a keyword if possible, think of it as a way to help differentiate your business name if needed, don’t force it though. Both the page name, tagline and the about introduction are used for the page meta description. This will also be a factor used in returning your page in any internal Google+ searches. 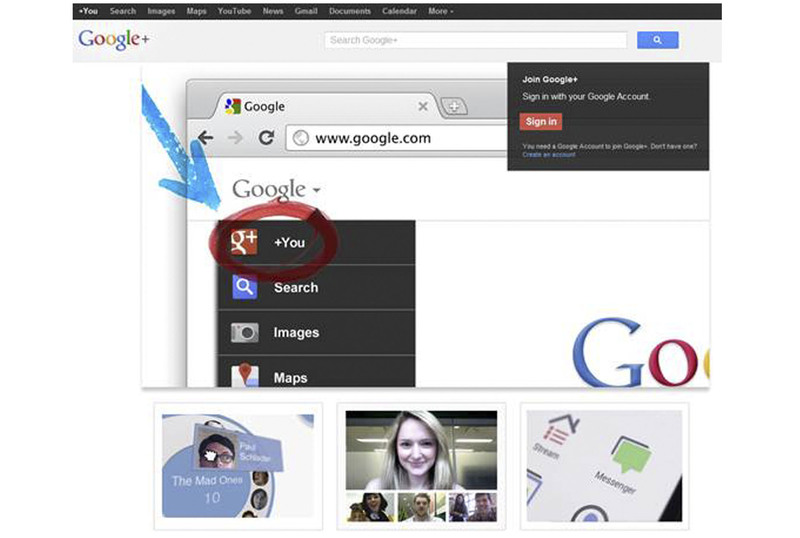 Probably the most striking part of a Google+ page are the 5 horizontal; thumbnails under the tagline. This is an opportunity to get creative, see Econsultancies 20 of the best photo strips for some inspiration and checkout Burberry’s use of gifs to create a moving picture header. Again, these links are ‘dofollow’ so they should have SEO value. If you’ve linked to useful sections of your site from your About Information put in links here to your other social network profiles, blog and website. To verify your Google+ page you need to link it up to your site, this way you’ll get a verified logo by your page name and you’ll be eligible for Google Direct and adWords Social extensions (more below). A rel=”publisher” link from the main page of your website to your Google+ page. This tells Google that the Google+ page represents the publisher of the site, and makes your site eligible for Google Direct Connect. In addition, the count of +1’s on your Google page reflects the number of +1’s on the home page of your site (but not +1’s on individual pieces of content). If you use the AdWords social extension, this total +1 count is also applied to your ads. A reciprocal link back from your Google+ page to the main page of your website. Google direct lets you quickly navigate to a Google+ page by preceding your search by a ‘+’, it’s unlikely have much traction at the moment but well worth getting setup now as good foundation for the future. This allows you to share your +1 information between your adWords campaign and your Google+ page allowing for annotations to be displayed on your PPC ads. Potentially improving your click through rates. Ultimately, greater visibility within Google Web and Google+ search is going to come down to how engaging you are as a brand in Google+. Lay the foundations with a well optimised page, encourage +1s and get people to add you to circles to maximise the potential of your Google+ business page. ← Should you open a Google+ page to aid search engine rankings?